A heavily indebted maid Sunshine (Rainie Yang), a successor to a rich corporation Di Ya Xin (Wu Chun), fated to meet together because of a mistake when parachuting. Sunshine has to be a main to repay her parents’ debt, while Di Ya Xin becomes poor after bankrupt. Their love relationship is inseparable. Sunshine is a poor, but cheerful Japanese girl who lives with her sacrificing, loving grandmother. Her parents have passed away due to car accident, and she was adopted by a kind foster-family. Her foster-father is a Japanese stays in Taiwan, foster-mother is Okinawan. They live in house of the mother of her foster-mother, looks like a happiness family. Despite the fact that they love her, her foster-parents are extremely irresponsible, always want to get rich quick without wanting to work properly, and as a result have left her with a debt of hundred-thousand yen. Her debtors from Taiwan finally give her an ultimatum – if she doesn’t pay her foster-parents’ debt, they will take the ancient house of grandmother, or she becomes a maid for a rich family, using her wages to pay the debt. She agrees to become a maid, but before she can leave to be maid, Yaxin (the wealthy CEO of a beauty products company “Alovera” which is expanding to Okinawa) falls through the roof of her straw-thatched shower room. It turns out he was parachuting, but his balloon broke. After she threatens him with the wrath of an army of Japanese grandparents, he apologizes to her. Unfortunately for her, he turns out to be her new boss. Though at first he scorns her for dressing like a old lady and she thinks he’s a pampered, unreasonable child, as days pass they fall in love with each other. During this time, Gun Fei, who is Yaxin’s childhood friend, is secretly plotting to destroy Yaxin. Though he has moments of uncertainty about what he’s doing, he’s spurred on by his dad’s commands and his love for Angela, who loves Yaxin and does everything she can to be by his side. Despite all three being childhood friends, Angela never seemed to notice that Gun Fei has loved her ever since she began loving Yaxin. Despite her obvious affection, Yaxin is preoccupied with his work and doesn’t spend time with her, causing her to react jealously when she realizes that he actually spends more time with Sunshine. As Sunshine continues to work for him, her infectious optimism begins to grow on Yaxin and he starts to fall in love with her. Angela then desperately announces her engagement to Yaxin, lying to her mother (who has been like a mother to Yaxin ever since his own parents died), that she’s already talked to Yaxin. She also accidentally kills Sunshine’s grandmother after hitting her with her car. Gun Fei uses this to force her to leave and study for a year, telling her that he can’t bear to see her with a man who doesn’t love her. Sunshine, who has paid off her debt, also disappears for a year after she finds out that Yaxin is getting engaged. A year later, due to chance, they all meet up again. Yaxin tells Angela that he doesn’t love her and plans to propose to Sunshine under the pretense of selling back to her the house which he bought after her parents sold it. Unfortunately, Geng Fei has became powerful enough to bankrupt both he and Angela’s mom, who owns the other half of the company. Angela strikes a killing blow by giving Geng Fei both her mom’s and Yaxin’s flashdrives, which Gun Fei promptly destroys. Yaxin is soon removed from his position in the company, his house is foreclosed, and he becomes a homeless heir. In this time, Yang Guang is there to help him through his rough times and they bond even more and work together to help Yaxin take back the company. The drama was filmed on location in Taiwan, China and Japan between May 2010 and wrapped on 21 September 2010. A Taiwanese remake of 2002’s SBS Korean drama “The Successful Story of Bright Girl” (開朗少女成功記) by Jang Na-ra and Jang Hyuk. HunanTV managed to upstage Taiwanese co-producer to be the first TV station to broadcast the drama series, and the channel completes the airing of the whole series (18 episodes) in just 9 days, continuously. The drama has been aired for the third time in China. HunanTV re-broadcast the series in another network of its network from July 17, 2011, while CCTV8 starts airing the show nationwide from August 16, 2011. 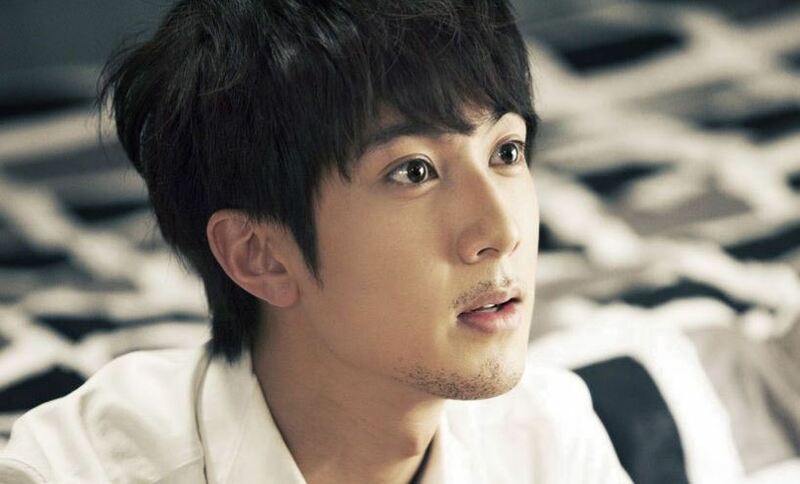 The original title of the drama is Sunny Girl, but Wu Chun suggested to have the name changed to Sunshine Angel. The Chinese version name change is adopted, but official site of TV channel continue to use the initial English name. Watch Sunny Girl (Sunshine Angel) Taiwan version online with English and Chinese subtitle at viki.com. Watch Sunny Girl (Sunshine Angel) China version online with Chinese subtitle at letv.com or youku.com.